Instead, the solar roof is composed of a series of solar shingles – tiles that pull double duty as both roofing shingles and miniature solar panels. Each individual tile produces only a small amount of energy, but when linked together with other solar shingles, they can potentially produce as much energy as traditional solar panels. While Tesla’s foray into the solar industry was celebrated as a unique and innovative venture, few realized that the solar shingle was actually patented in the 1970s and first became commercially available in 2005. Solar shingles are composed of three main layers. The most important element in the solar shingle is the solar cell. The cell soaks up the sun’s energy and transforms it into electricity. The cell is covered with a colored louver – a kind of thin film that permits sunlight to enter the shingle but renders its solar components invisible from the street level. Finally, the louver and the cell are sandwiched between two sheets of tempered glass. Solar shingles have a few distinct advantages over standard solar panels. Small and lightweight, solar shingles are easier to install than regular solar panels. Installation is also easier because they don’t require a roof evaluation. Some solar shingles also come with longer warranties than standard solar panels. While the typical panel warranty lasts for just 25 years, Tesla guarantees that its shingles will produce power for at least 30 years and remain intact over the lifetime of the house. Solar shingle manufacturers also like to point out the aesthetic value of solar shingles. While standard solar panels jut out visibly from the roof, solar shingles are visually inconspicuous, and often blend seamlessly into the rest of the home’s roof. The market for solar shingles is small but growing. CertainTeed’s Apollo Tile II won the product innovation award from Architectural Products Magazine in 2014. The tile has a power rating of 60 watts per tile and weighs less than an average roofing shingle. 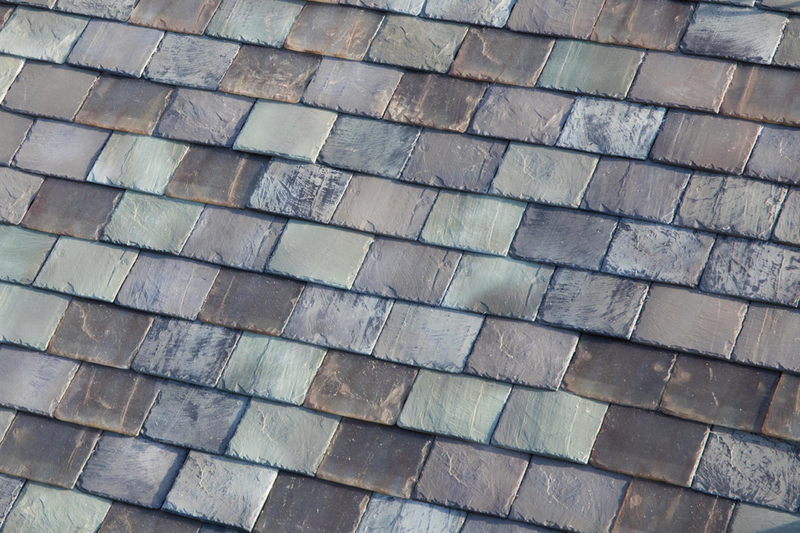 The tiles in Tesla’s solar roof have a much lower power rating of just 12 watts each. But Tesla generated such excitement over its solar roof that after just a few weeks of preorders, the company had sold about a year’s worth of installations. The company began hiring additional roofers last year ahead of trial installations that began in California. Solar shingle makers have struggled to compete against more familiar and trusted standard panel technology. Before Tesla, Dow was the biggest name in the solar shingle industry. When the company unveiled its Powerhouse prototype in 2009, Time named it one of the top 50 inventions of the year. After the Powerhouse went into commercial production in 2011, Dow expected it to bring in $10 billion by 2020. Unfortunately for Dow, the Powerhouse failed to take off and the company stopped selling it in 2016. The Powerhouse’s demise was one consequence of the merger that year between DuPont and Dow that saw 2,500 jobs slashed. While Dow had initially suggested that the Powerhouse would cost 10 to 15 percent less than regular solar panels, it in fact suffered from higher costs and lower efficiency rates. The Powerhouse’s low efficiency rates might have been due to overheating. Because solar shingles lay flush against the roof, they don’t have the same kind of natural air flow beneath them that traditional panels do, which are typically elevated several inches from the roof’s surface. And when solar cells get too hot, they become less efficient. In some extreme cases of overheating, solar tiles can actually cause the solar tiles to burst into flames. Open Energy’s shingle, for instance, was recalled in 2014 after it was linked to house fires. While Tesla has already received a “Class A” rating from Underwriters Laboratories, paving the way for more permitting approvals across the country, the potential dangers associated with solar shingles could make it difficult for other manufacturers to obtain the necessary permits for their products. Dow (now DowDuPont), for its part, isn’t ready to give up on solar shingles just yet. In partnership with RGS Energy, the company recently announced plans to revive the Powerhouse. Instead of utilizing CIGS thin-film technology, the new “Powerhouse 3.0” shingles will employ the same silicon solar cells used in traditional solar panels. This technical modification should significantly reduce the Powerhouse’s cost and boost its efficiency. The shingles are currently available for preorder and Dow expects to receive product certification this year, with installations slated to begin shortly thereafter. A number of smaller companies are also active in the solar shingle industry. The U.K.’s Solarmass, for instance, produces a solar tile with a carbon footprint 136 times lower than standard solar panels. Aesthetic Green Power － formerly Atlantis Energy Systems － offers two solar tile products and has recently joined forces with Virginia Tech and Columbia University to improve their manufacturing processes. And Redwood Renewables currently offers a solar tile with an energy efficiency rate that the company claims is almost 20 percent higher than that of standard solar panels. Solar shingles are most cost-effective for people who are building a new home and want solar power. 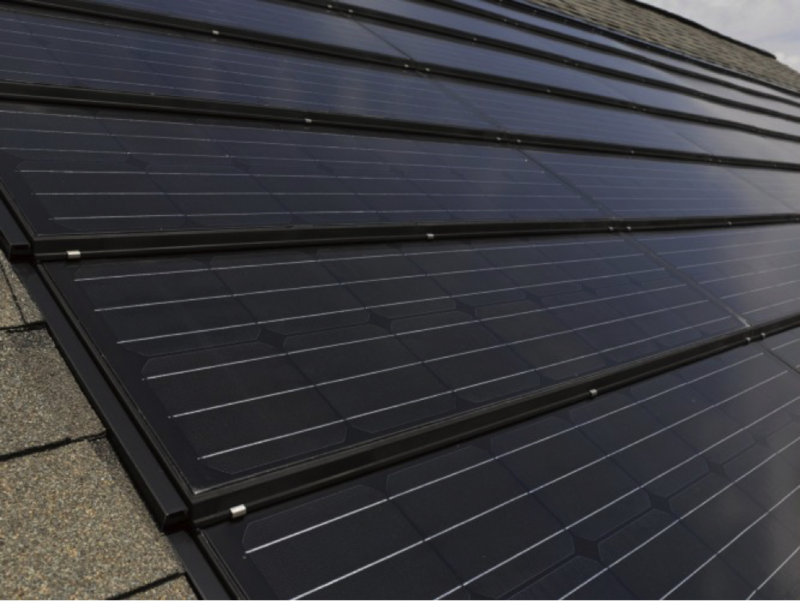 By combining both solar panel installation and roof installation into a single process, the homeowner could save substantial money (on top of the money they stand to save on their electric bill). They’re also a good choice for current homeowners who are ready to replace their roofs and want to go solar. Standard residential solar systems cost about 30 percent less than the average cost of Tesla’s solar roof. But like other areas of solar technology, the price of solar shingles will likely continue to drop. PowerScout, a solar startup, suggests that the cost of solar energy will likely continue declining through at least 2022. And cost reductions for solar shingles are even more likely now that heavyweights like Tesla and Dow are in the market. Thanks to Kyle Pennell from PowerScout for contributing this educational article. Comments on "The Past, Present, and Future of Solar Shingles"